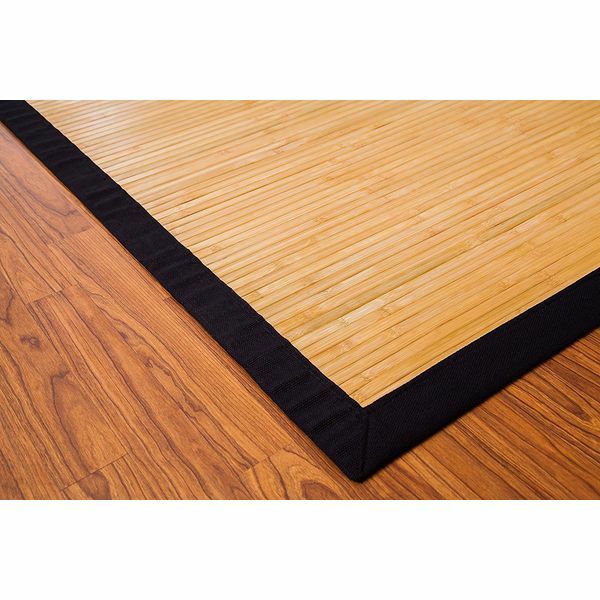 Add some Asian-style appeal to your living space with this Yaheetech Bamboo Area Rug Carpet. 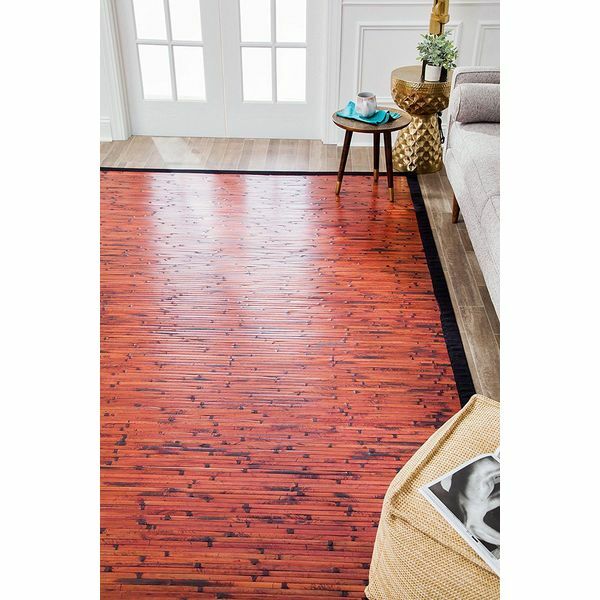 The carpet features natural bamboo that gives it a unique texture and appearance, perfect for any room’s color scheme. The piece measures 6 feet by 4 feet in size. Whether you are looking for a mat to place at your entryway or one to put near the sink when chopping fresh vegetables, you should check this one out. You will find that this rug features a light brown surface area, which is perfectly complimented by the slightly-darker border shade. The rug also features a non-slip latex backing, which will help to prevent nasty slip and falls on a wet, hardwood floor in the kitchen. The mat is 2-foot wide by 6-foot long, so your guests will have plenty of room to wipe their shoes off, or they can also have a place to stand when preparing their burgers. Give your space a one-of-a-kind appearance with the inclusion of the Anji Mountain 4-Foot-by-6-Foot Natural Fiber Rug. The rug is made from natural bamboo that has been given both a mahogany and a dark brown finish that can instantly warm up any space in the home. 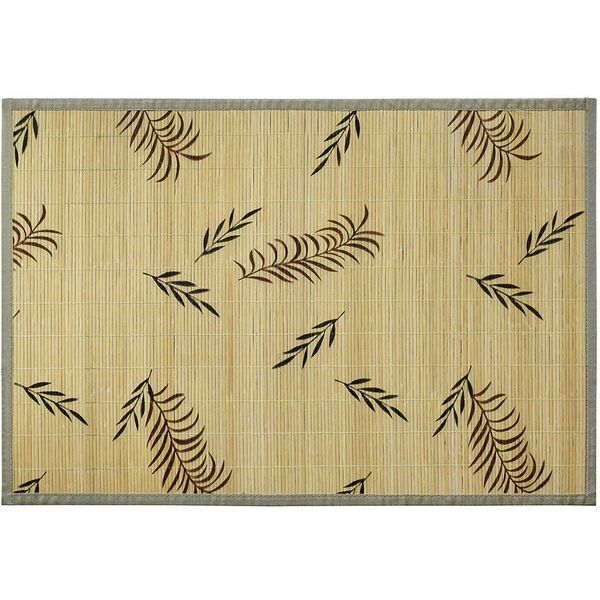 For those of you who are passionate about nature, you are going to love what this bamboo rug has to offer. It features a lime green surface area with a tan border that does an excellent job of accenting the true beauty of this rug. One really cool thing about the border is that it is constructed from 100% polypropylene, which has a natural, dirt-repelling property. You can easily keep this rug looking its best by going over it with a damp cloth. The 4-foot wide by 6-foot long dimensions allow it to be placed practically anywhere. The natural texture of bamboo gives this ORIENTAL FURNITURE Bamboo Rug plenty of style without the need for any additional colors or frills. 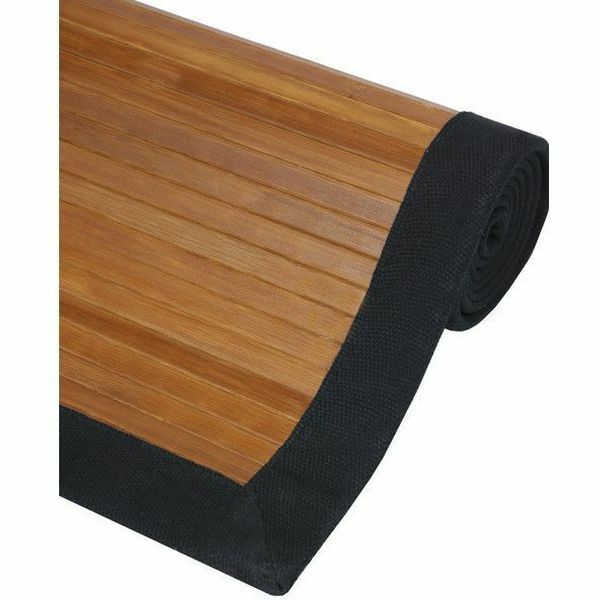 The rug features slats of bamboo running from side to side with a black border around its edges, which is made from strong canvas. 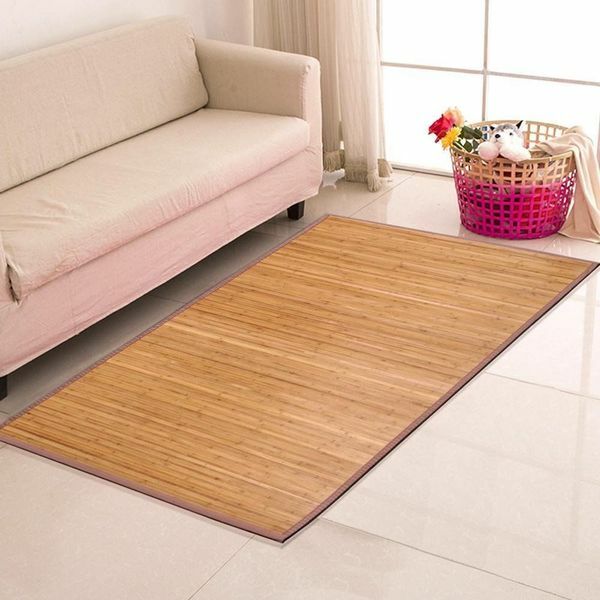 All of the natural beauty of bamboo gets a stunning update with the Natural Bamboo Floor Mat with Anti-Skid Back that has ornate details applied to the front. 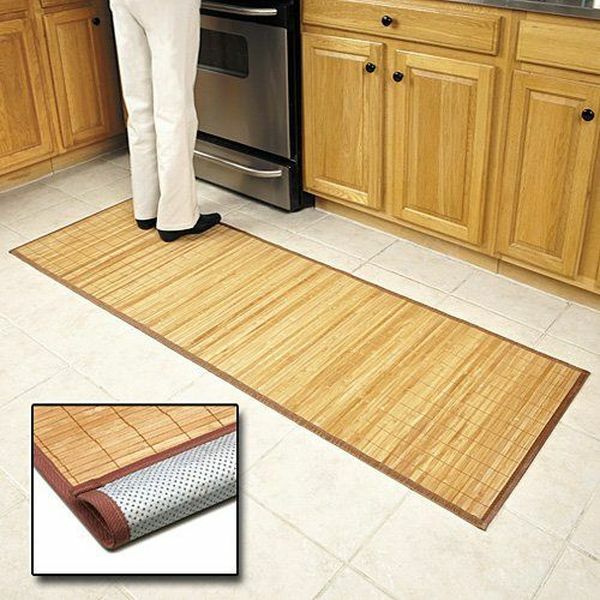 The mat features an anti-skid surface that stops the rug from sliding around underfoot for your safety.